ICare is the outreach ministry of City Church. We serve our community and the world by being the hands and feet of Jesus - providing tangible good and services and preaching the Gospel to the poor. Compassion - To meet the needs of those the broken and hurting by demonstrating the supernatural power of God. Action - To demonstrate the love of God through practical acts of service. Equipping - To equip the body of Christ for evangelistic ministry through, teaching, training and spreading awareness. We place high priority on reaching our Community through “reach out Days” which are evangelistic outreaches focused on sharing the love of Christ to our local communities through personal evangelism, event promotion and practical acts of service. Around here, November is “Servolution” month, Where each member is encouraged to engage in various activities that involve practical service towards others and becoming the hands and feet of Jesus. Jesus commissioned the Church to go into all the world to preach the Gospel and make disciples. City Church’s vision for the world involves financially supporting churches and ministries in countries abroad as well as sending teams out every year to bring the Gospel of salvation and the power of the Holy Spirit to foreign nations. 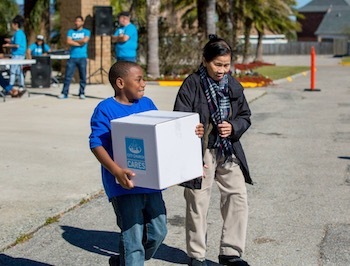 Our i.C.A.R.E ministry hosts Thanksgiving Outreaches, Christmas giveaways and other events throughout the year to make a strategic impact and spread awareness to broken areas within the New Orleans Community. Our i.C.A.R.E ministry teams have been blessed to respond by stepping up and extending aid during times of natural disaster. 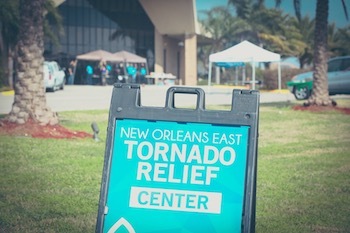 Whether it be setting up a distribution center after Hurricane Katrina, sending teams to Help families rebuild in Baton Rouge after Hurricane… aiding in tornado relief or sending aid to the recent Hurricane Maria in Puerto Rico. If you are interested in being a part of our iCare ministry contact Andrew Benson.